Yesterday, my Mom, Hannah and I were at our local Walmart when we saw an interesting sight. There was a TTC bus parked right at the entrance - this is unusual because the entrance is far from the street where a normal bus would stop. My Mom bought some toys that Hannah donated to Stuff the Bus and we tried to explain to her that not everyone is as lucky as we are during the holidays. After we told Hannah about sharing and giving, she's also really in to helping. So tonight, Hannah and I made a Rice Krispies Toy Robot for #TreatsforToys. I of course handled the stove/knife using, and Hannah helped stir, flatten and, the most important part, decorate. You can find all the recipes on the website. I explained to Hannah that once we posted a photo of our robot, the company that makes Rice Krisipies will donate a toy for a child this Christmas, just like how she helped give a toy to a child yesterday. She was so excited something she enjoyed doing was going to help others. Hundreds of families will kick-off the holiday season by helping to build a ‘home sweet home’ for families in need by decorating their own gingerbread houses with Habitat for Humanity Greater Toronto Area. While volunteers have to be at least 16 years of age to volunteer on a Habitat build site, children of any age can participate in the Gingerbread Build. By doing so, they are offering a ‘hand up’ to children in need of a simple, decent, affordable home. ﻿100% of the funds raised through the Gingerbread Build go directly to building Habitat homes for families in need of affordable housing in the GTA. Hannah and I will be attending a special build at the Ontario Science Centre the weekend of Dec. 12th/13th, 2015. For more info, including how you can purchase a kit for yourself, or for a family in a shelter, visit http://gingerbreadbuild.weebly.com. With excellent live music for everyone, face painting, cookie decorating, letters to Santa, arts and crafts, superheroes and of course a visit from Santa himself! Bring an unwrapped toy for those who would normally have nothing this holiday season. Hannah and I will be in attendance, we've been before, and had a great time. Various charities have great gifts you can purchase for loved ones while celebrating the season. Support whatever cause your passionate about - and give someone a memorable gift at the same time! 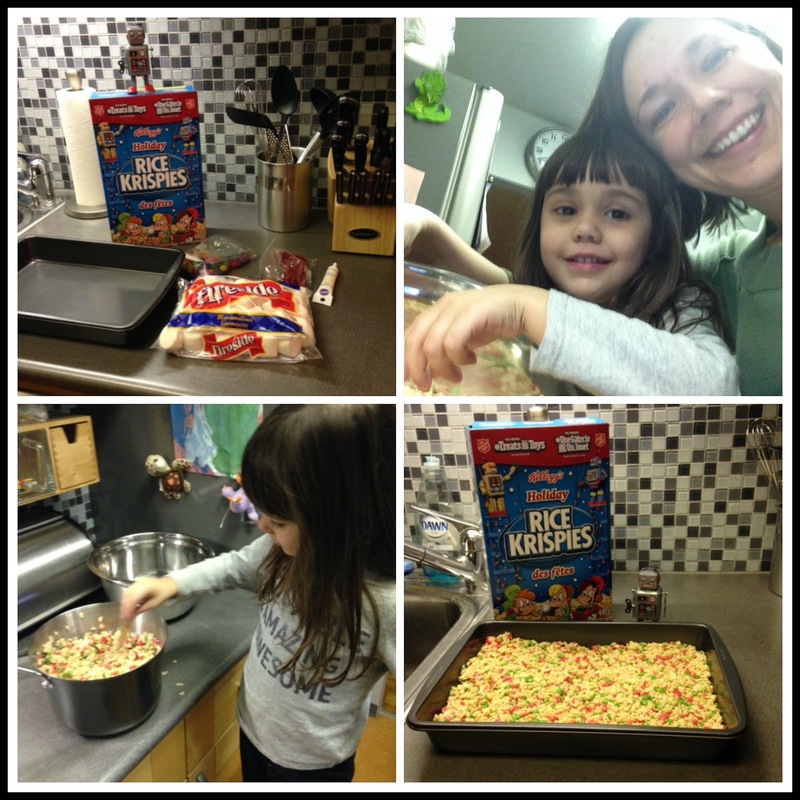 How do you and your family give back during the holidays? 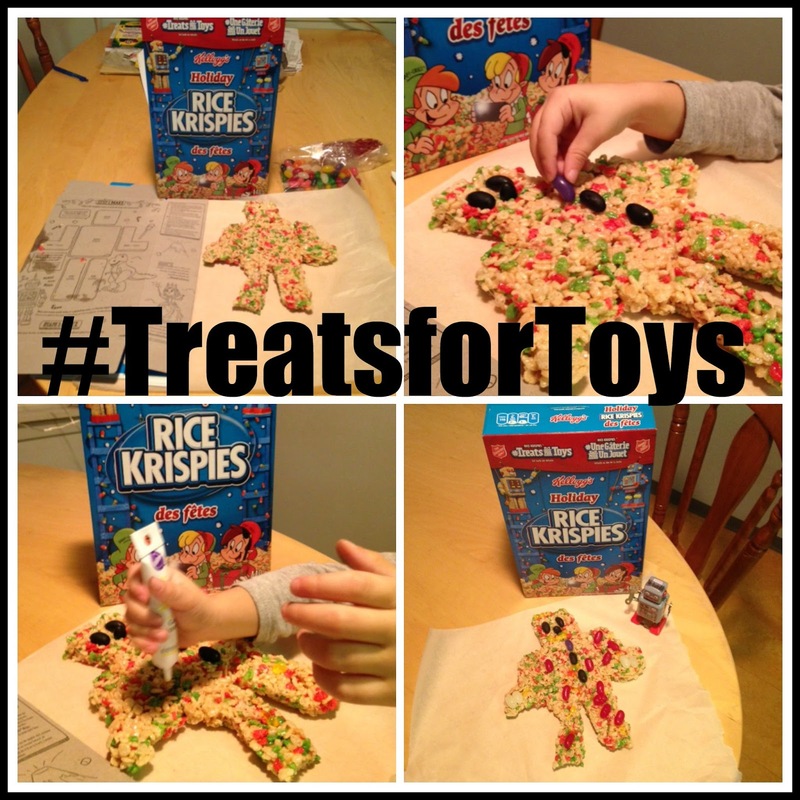 One lucky YYZ Bambina reader will win a #TreatsforToys Prize Pack with all the essentials to make their own Rice Krispies toys! Use the Rafflecopter below to enter before December 6th, 2015. Disclosure: I am part of the Kelloggers Network. I received free products for the purpose of this review. As always, all opinions on this blog are my own. We always pick a toy up and donate it to the local happy tree here! I give during the holidays by donating to charity. We donate most of the prizes I've won during the year to a couple of local charities here in Victoria. We volunteer at the local homeless shelter, as well as donate food, toys and money. I donate household, hygiene items to the food bank. I give by donating to local fundraising events. I like to donate to my local Salvation Army. Usually food, a small cash donation and a toy! I donate to the local food bank and to the salvation army tree. I donated some really nice toys this year that I won over the year and I give to the food bank. We give to the food bank , toy drives and at my husbands work they sponsor 2 families and we give towards that! I donate to the food bank, clothing drives. We donate brand new toys, we donate to the food bank. We also choose a child from the community giving tree. I like to give food/clothing to the food bank. I try and give extra to the food bank and to childrens aid . By donating to food banks, clothing banks, etc. We donate to the food bank and adopt a family to create a christmas hamper for. We donate clothes to shelters around this time. We donate extra money and where possible time to the local shelter. We always pick up a little extra for our local food banks. and this year we are adopting a family for a Christmas hamper! We like collecting coats for the homeless. We give to the food bank! Disney's #Aladdin Diamond Edition available now!